EXO's 5th full album 'Don't Mess Up My Tempo' is #1 on iTunes album charts in a total of 46 countries, approximately a day after release! Shortly after the album's release on November 2 at 6 PM KST, 'Don't Mess Up My Tempo' topped iTunes album charts in Canada, Sweden ,Greece, Columbia, Mexico, Brazil, Egypt, India, Singapore, Russia, Indonesia, Vietnam, Turkey, Hong Kong, Taiwan, and more! 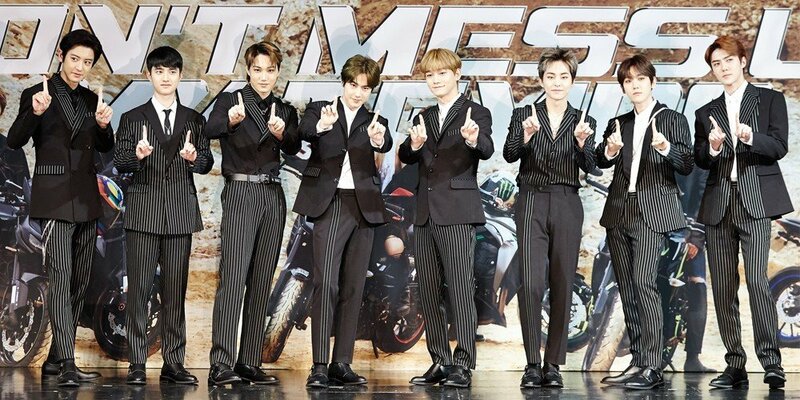 The boys' title track "Tempo" also topped various domestic music charts including Melon, and even topped China's 'Xiami Music' chart. Don't miss EXO's comeback stage on this week's 'Show! Music Core' in just a few hours! Its Colombia tho ... Congrats to the boys! !